Hoop Nut #UAAP78 Ateneo Blue Eaglets Juniors Division UAAP #UAAP78Jrs Roundup: Junior Archers score first-ever season sweep of Blue Eaglets even as Bullpups clinch Final Four slot! #UAAP78Jrs Roundup: Junior Archers score first-ever season sweep of Blue Eaglets even as Bullpups clinch Final Four slot! Aljun Melecio was clutch as the Junior Archers completed an elims sweep of the Blue Eaglets. John Lloyd Clemente shot 18 points, while Justine Baltazar added 15 points and 11 rebounds as National University claimed the first Final Four berth with a 67-51 win over Far Eastern University-Diliman yesterday in the UAAP Season 78 Juniors’ basketball tournament at the Filoil Flying V Arena. Unbeaten in 10 starts, the Bullpups are actually on course for an outright championship berth if they win their remaining four elimination round matches. NU led by ten at the end of the first period and never looked back, leading by as many as 22 points in their route of FEU. The Baby Tams were paced by Eric Jabel, who was the lone Green & Gold player with double-figures. He tossed in 13 markers. Big man Justine Baltazar remained an unstoppable force as NU defeated FEU. Aljun Melecio had another splendid all-around game with 22 points, 11 rebounds, 5 assists, and 3 steals as De La Salle-Zobel reasserted its mastery of Ateneo, 80-73, opening a two-game lead over the defending champions in the race for the second twice-to-beat slot in the semifinals. The Junior Archers swept the Blue Eaglets in their head-to-head to book their eighth victory against two losses. 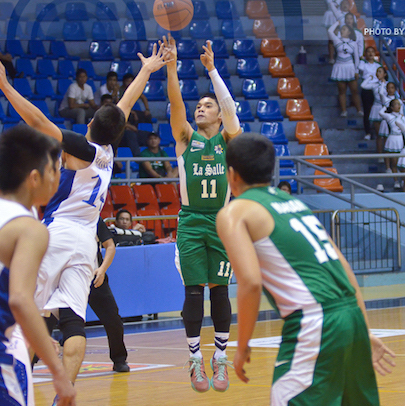 This was the first time ever that DLSZ booked an elims sweep of their arch-rivals in the UAAP. It was a tight contest all throughout, and the Junior Archers led by only 1 point late in the game before Melecio sank back-to-back triples to put the outcome beyond doubt. Marco Sario backstopped Melecio with 13 points for Zobel, while the Ateneans were led by the combined 30 points of cousins Shaun Ildefonso and BJ Andrade. Batang Gilas U16 stalwarts Gian Mamuyac and Jason Credo each tallied 11 markers for the Eaglets, who are tied with Adamson at third spot. Last season’s Finals MVP Jolo Mendoza continued to be hampered by a bum ankle, making just 3 of his 12 FG attempts en route to 6 points. As a side note, Mendoza, Melecio, and Mamuyac are all expected to be part of the Batang Gilas U18 team this year that will compete in the 2016 SEABA U18 and 2016 FIBA Asia U18 tournaments. 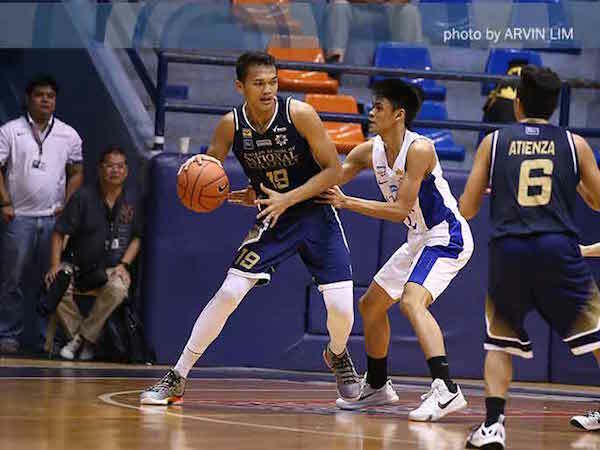 Adamson University also boosted its Final Four bid with a 80-26 rout of University of the East, while UP Integrated School won its second game of the season via a 82-71 decision over University of Santo Tomas. 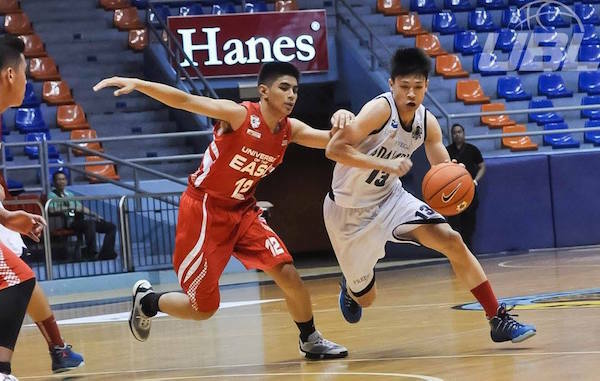 Ralph Chua turns the corner as Adamson obliterated UE. The Baby Falcons, whose reserves Ferdinand Asuncion, Rence Padrigao, and Raygan Santos outscored the entire Junior Warriors squad by combining for 33 points, remained on track for a second straight Final Four stint with a 6-4 card. Like Ateneo, Adamson trails La Salle-Zobel by two games in the race for the No. 2 seed in the playoffs. Nobody broke through double-digit scoring for the hapless Recto-based Junior Warriors, who were paced by Harri Aban’s 9 points. UPIS, meanwhile, saw Javi Gomez de Liano top-score with 5 points even as big man Will Gozum added a dozen markers. Joaquin Balingit and Inand Fornillos paced the Tiger Cubs with 15 and 14 points respectively. Bryan Lina pulls up as UPIS beat UST. The Baby Tamaraws crashed out of the top four with their fifth loss in 10 contests, a game behind the Baby Falcons and the Eaglets. 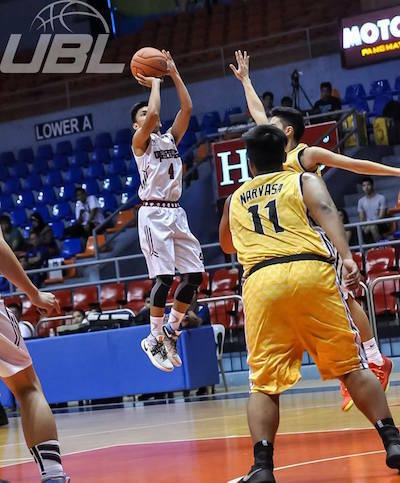 The Tiger Cubs dropped to 3-7, putting themselves on the ropes, while the Junior Maroons rose to 2-8. Last place UE has now lost 10 straight.